Guitar tablature, often referred to as simply TAB, is a method of notating music for guitarists and other stringed-instrument players. It’s a system that consists of six lines that correspond to the strings of the guitar. Numbers are placed on these lines to represent the frets to be played, giving a guitarist the essential information needed to play songs without reading traditional notation. Sometimes traditional tails are placed on the numbers to designate rhythm (quarter note tails, half note tails, etc), but more frequently the tails are left off. 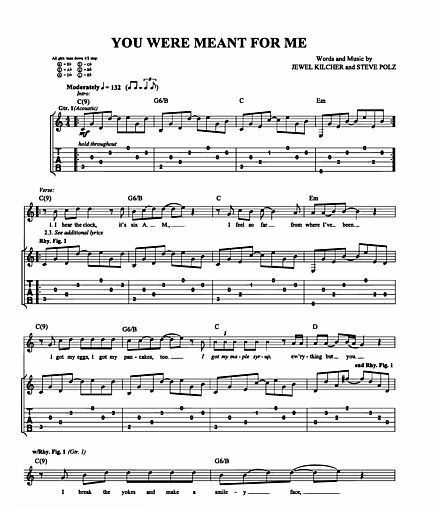 Below is an example of notes written consecutively in TAB format and basic chords indicated in TAB format. As you can see, this is a much more logical way to represent music notes and makes guitar tabs easy. The Internet is crowded with guitar tab sites that allow guitar players to locate just about any song they want to learn to play. The TABS come in all levels of difficulty, making guitar tabs easy to find at any given level of difficulty. Recorded songs aren’t the only way TAB is used today. Many video lessons include guitar exercises written out in TAB that can be used as practice material. There are plenty of method books that use the TAB method exclusively, catering to those guitar players who’d rather not take the time to learn to read traditional music. Many of the websites that make finding guitar tabs easy offer everything from rock and pop selections like “Money for Nothing” by the Dire Straits, “You Were Meant for Me” by Jewel, and “Rock and Roll all Nite” by KISS to folk songs and holiday classics ideal for playing at family gatherings or around the campfire. This means no matter what you want to play, chances are you’ll find a TAB arrangement online to fit your skill level. 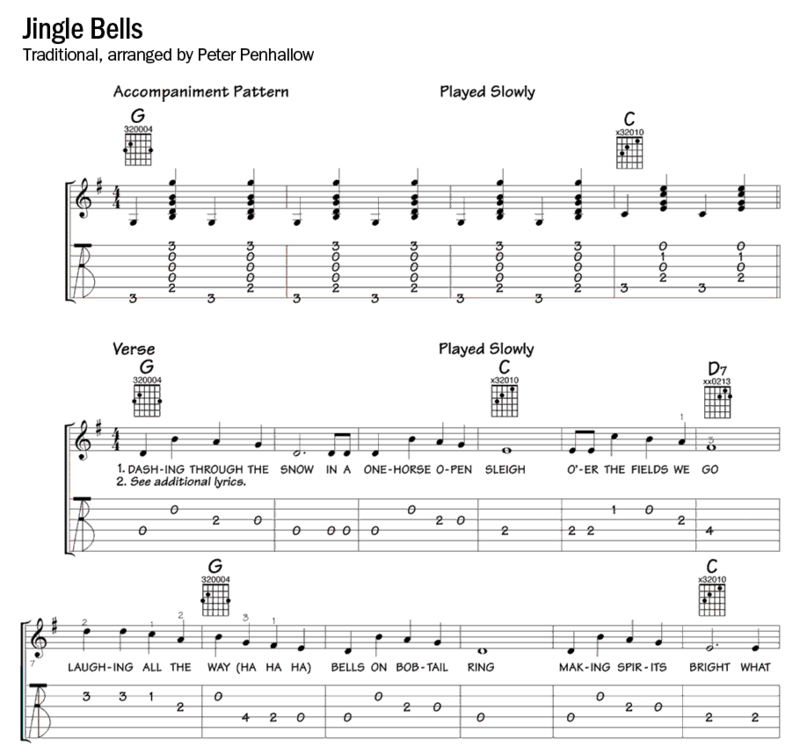 Check out the TAB arrangement of “Jingle Bells” below. It’s an easy arrangement that uses a simple alternating single note/chord pattern throughout. Guitar TAB is also a great way to notate your own ideas. You can find blank find TAB sheets online. Print some and keep it handy for writing your own lessons and songs. Make your own guitar tabs easy to read and use them to expand your skills beyond simply playing what others have written.